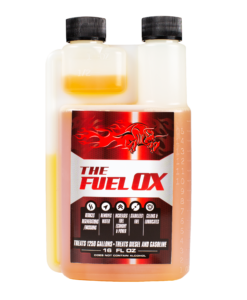 Fuel Ox Marine is a multifunctional and comprehensive fuel treatment that improves fuel combustion and engine performance. The Fuel Ox Marine contains a patented catalyst that lowers the ignition point of fuel – causing an earlier, more sustained combustion. – Treats diesel and gas. – 7-10% better fuel economy. – Greater responsive vehicle power. – Reduces emissions by up to 75%. – Boosts responsive vehicle power.